Here I am going to show a simple Spring Boot Batch example, which will read data from csv file and write into a database using JdbcTemplate. Employee.java – representing CSV file data and EmployeeDTO.java – representing a database table. Java-based spring boot batch configuration class. FlatFileItemReader – Reads lines from input setResource(Resource r) for our case input file (employee.csv) is reading from classpath. And Line mapped with an item using setLineMapper(LineMapper). JdbcBatchItemWriter – It implements the ItemWriter interface: uses the batching features from NamedParameterJdbcTemplate to execute a batch of statements for all items provided. We must provide an SQL query and a special callback in the form of either ItemPreparedStatementSetter or ItemSqlParameterSourceProvider. 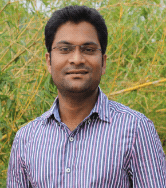 JobBuilderFactory – Used to building jobs of various kinds. StepBuilderFactory – Entry point for building all kinds of steps. Processing the Batch item based on the chunk size: For our case reading employee data from employee object and transforming it into employee dto object. Typical business logic goes here! based on your requirement. JobExecutionListenerSupport: Provides callbacks at specific points in the lifecycle of a Job when before and after job execution. afterjob() Callback after completion of a job. Called after both successful and failed executions. To perform logic on a particular status, use “if (jobExecution.getStatus() == BatchStatus.X)“. [INFO] /home/cgoka/Documents/Work/Spring_Examples/SpringBoot-Batch-Example/src/main/java/com/onlinetutorialspoint/config/SpringBatchConfig.java: /home/cgoka/Documents/Work/Spring_Examples/SpringBoot-Batch-Example/src/main/java/com/onlinetutorialspoint/config/SpringBatchConfig.java uses unchecked or unsafe operations. 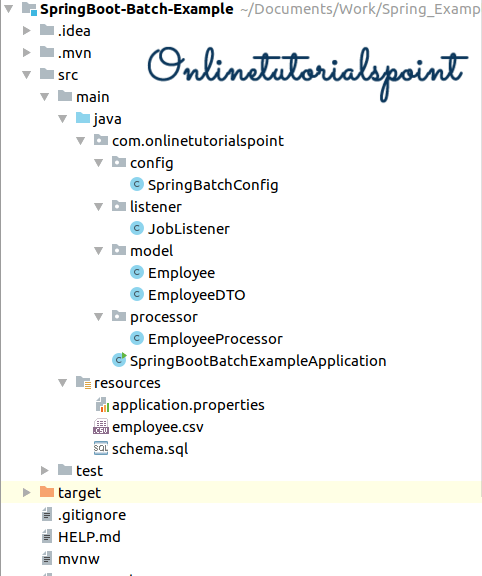 [INFO] /home/cgoka/Documents/Work/Spring_Examples/SpringBoot-Batch-Example/src/main/java/com/onlinetutorialspoint/config/SpringBatchConfig.java: Recompile with -Xlint:unchecked for details. Wed Mar 20 02:55:14 IST 2019 WARN: Establishing SSL connection without server's identity verification is not recommended. According to MySQL 5.5.45+, 5.6.26+ and 5.7.6+ requirements SSL connection must be established by default if explicit option isn't set. For compliance with existing applications not using SSL the verifyServerCertificate property is set to 'false'. You need either to explicitly disable SSL by setting useSSL=false, or set useSSL=true and provide truststore for server certificate verification. 2019-03-20 02:55:14.693  INFO 30969 --- [           main] com.zaxxer.hikari.HikariDataSource       : HikariPool-1 - Start completed.